Chef Sam Beall | Blackberry Farm - Find. Eat. Drink. 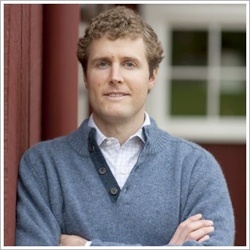 Sam Beall is the proprietor of Blackberry Farm in Walland, Tennessee. Chef Sam Beall trained at The California Culinary Academy, apprenticed at The French Laundry, and worked at the Ritz-Carlton, Cowgirl Creamery and California wineries, before moving back to Walland to turn Blackberry Farm into a world class Relais & Châteaux resort. A. Blackberry Farm is not a place that you drive by and decide to pop in. 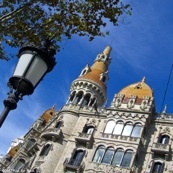 It's a little unassuming, because when a traveler today has so many options they think of New York, San Francisco, Carmel, Bali, Fiji, and Walland, Tennessee doesn't really pop up on the radar. Q. Can you give us an idea of what it's like to stay there? A. This is very much a destination location. You arrive, you park your car, you don't get back in until you leave. Everything that you'll need and you'll want is going to be here to entertain you, to entice you. When you're here, you've come here for this reason and there's nothing else around or there's not much else around. So you're not carrying around a wallet, you're not thinking like that. It's more of a feel of you're in one's home which it is, it is our home. I was born here and still live here today. Q. Can someone visit just for dinner or do you have to stay at the resort for a certain number of days? A. In general, there's a two night minimum for a stay at Blackberry, but guests can come just for dinner. We allocate five tables a night to guests not staying on the property. Q. When your parents bought the property in the late 70s, was the resort planned or was it your idea? A. It was not a grand plan at that point. It was simply our home, it's where we lived. There was only one physical building on the property back then. There were nine rooms in the house, five bedrooms. Today there are sixty-three bedrooms and many, many buildings here on the property. It wasn't one day that we set forth, okay, this is going to be a Relais & Châteaux property, it evolved over time. While it's forty years in our family's history, much of what is see today began in 1998. Q. Your father started the Ruby Tuesday’s chain. You took sort of a different path, even though it's the restaurant business, you went into much more fine dining. What sent you along that road as opposed to what your father created? A. Actually I did grow up working in those restaurants since I was twelve years old, I was working in the kitchens. I knew I was going to come back here and spend the rest of my life here. But I needed to get through the fundamentals for a reference point. Time, creativity and experience would be the only differentiating factors. Q. Where did you get those experiences? A. My wife and I lived in California for two years. Part of that was culinary school, California Culinary Academy, and then working at the Ritz-Carlton Hotel in San Francisco. But truthfully, it was the real life application of being in California, becoming exposed to just a plethora of restaurants in San Francisco during those fifteen months. We lived near a grocery store called Cal Mart and I'd spend about two hours walking up and down every little aisle, even if I didn't need anything. Then I’d go to next door to Bryan’s and waste another hour. It's like a real specialty meat market and just great product -- meat, fish and even some prepared foods. I mean, hell, I could actually link that to some of my education. I was completely bitten by the wine bug and I’d venture off about two days a week to the wine country, just keep my foot in the door and try to meet winemakers and get a taste out of a barrel or touch the dirt. It was a crash course, something that I had not been exposed to. Q. What was the impetus to start your own truffle orchard? A. About nine years ago, this gentleman named Tom Michaels decided to leave Oregon not satisfied with the fledging truffle industry that is going on out there. He moved here with the belief that this area could grow world class truffles. In about year six he noticed these little black nuggets kind of bursting on the surface of the soil and a few of his trees had actually cultivated truffles. He didn't have the man power, dogs, or the finances to do so. He gave me a call and said, you know, ‘I found these world class truffles, do you wanna buy them?’ I'm your neighbor, I appreciate the call, thanks, but no thanks. I mean it would be like your neighbor finding a nine-karat diamond in their backyard and saying they wanted to give you a good deal on it. But he was persistent and he drove down here, opened up this little thing of Tupperware and the aromatics were just undeniable. He took me around to his tree orchards and it was the real deal. Q. How did the Lagotto Romagnolo dog come into the picture? A. In short, I left that day asking ‘what can I do to help?’ He said, ‘What I really need is some help getting some dogs for next year to help find these truffles.’ So the deal became I was going to go to Italy and get the most perfect trained truffle dog possible, and we would bring it back here. It would be our dog. So that's what we've got going on and that's about four years in the ground and the rest is yet to be told. Q. I guess the local hounds are not good truffle hunters yet. Q. Blackberry Farms sells many of their house-made items to the public -- cheeses, charcuterie, pickles and preserves, sauces and mixes. What are some of your highlights? We’re passionate about vinegars. We make everything from some leftover wine that we just can't bear to pour down the drain to the apples or pears of the seasons to the persimmons. It’s our flagship long-lived aged cheese. It’s beautiful at four months. It’s incredible at 14 months, but it maintains a presence in our cellar throughout the year because of its aging abilities. We’ve been making cheese now for seven years, but only in the past two has it been at the quantity that we’re able to share it. It is insane. I'm still perplexed that I meet world class chefs who don't even know what okra is. The combination of the pickled okra and pimento cheese is about as heavenly as anything you can imagine. In my opinion, one of the truly iconic artisan culinary figures in this country. 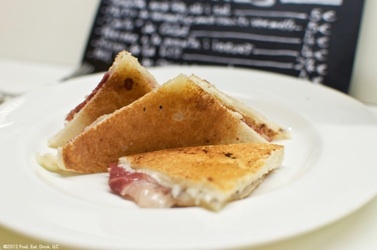 Benton's aged country hams are the closest thing I think you would find in this country to classic old world prosciutto. His bacon has an intensity of smoke that you'll find in no other bacon, period. I think that's what defines Benton's bacon for me is the smoke. When I get excited about a product it's probably unique. It's something that truly stands apart from the monotony and the commonality of the rest of the world even in great restaurants. Their buttermilk is made right here in Knoxville, Tennessee and it’s the finest buttermilk you'll ever taste. It is a classic culture of buttermilk that has bits of butter flakes floating around. It's just so good you can drink it. It's got the tanginess that a great buttermilk should have and it's exceptional. The focus is very specific on great produce and product. 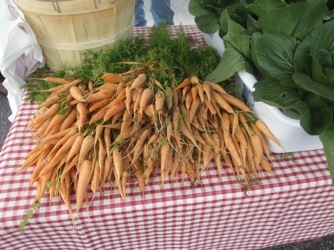 The product can only be from the 14 surrounding counties, Not just produce but product too. So whether it be honey or breads or cheeses or jams, it has to be entirely local, in addition to its practices has to be sustainable and there can't be what I call riffraff. There's not trinkets or trash or scraps. It's literally a converted gas station. My kids probably pick-up food twice a week from here on their way home from school for a quick dinner after late games. 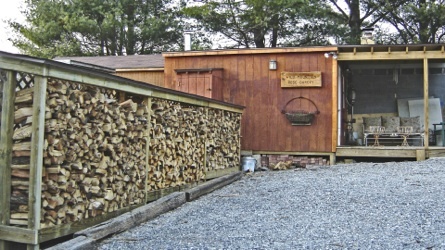 They have a wood-burning oven and they bake bread and sell it to some local stores. On the weekend, they use that same bread oven for word-burning pizza and sell almost all exclusively for pick-up and take out. Chef Bruce Bogartz is staying true to his food. It's certainly a showcase of the south, using great southern ingredients and southern mentality behind the food. He does great sweet potato dumplings, kind of a gnocchi, if you will. He does a Smoked-cured Breast of Duck, but it’s just cured like half way. 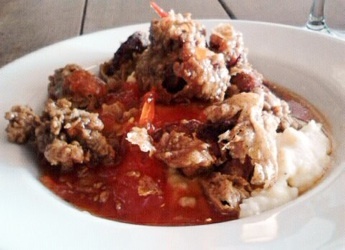 I like his Crispy Chicken Livers that he serves with hot pepper jelly. It’s more or less a bar, but they serve lots of snacks. The owner does a good job and they serve our cheese and some of our salumi there, but I'm not recommending it just because they serve our stuff. 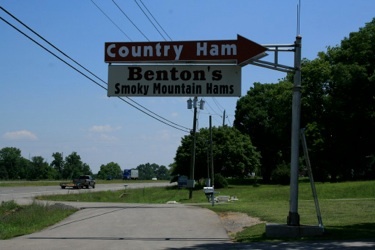 They also serve Allan Benton's products. I go there and order mindlessly, because it’s just such good, authentic Mexican cuisine. I order way too much when I go there, I get everything. I like the Poppers (stuffed jalapeños) which are made that morning in the kitchen and not some frozen product. They have a great variety of house-made salsas, it’s difficult to pick which one to order. All the smokiness is done there. The Molcajetes, which are hot lava rock bowls, are kind of one pot dishes. They send them out piping hot with pork shoulder Carnitas type. It's a real specialty meat market with just great product meat, fish and even some prepared foods. The chef, Christopher Kostow, is really rocking, he’s exceptional. The food is so thematic. He serves the little parts of a rooster, the cockles, the little flabby things, the little red things that hang on top of his head, that you never get to see that in restaurants, very kind of old world, just extraordinary. It’s not that there is a signature course to direct people to, it’s just exceptional and I don’t say the word exceptional lightly. Absolutely some of the most exciting wines in this country, Rhone Style Wines. He's a pioneer of Rhone varietals such as Syrah, Grenache, Viognier, Roussanne, great varietals that too many people aren’t familiar with. They’re a small, really still up and coming producer. Superstars, absolutely superstars. Andy Erickson, the husband and owner, happens to be the wine maker of the winery called Screaming Eagle. His incredible wife, Annie Favia, is not only the vineyard manager, but she's a farmer, she manages the vineyards for Screaming Eagle and other greats, whether it be David Abreu or just a host of others. It's a small winery up on Howell Mountain. Great family producer that has stayed true to small production, a certain style and true to a wine maker and not just any wine maker. Yes, they actually have a wine maker versus making it themselves, but Heidi Barrett is considered one of the great wine makers in this country. It's a great visit, a great location in a less assuming area of Napa Valley. Off the beaten path cabernet producer that's more European in style. He is a Frenchmen and he makes wines in that character. A gorgeous location, Spring Mountain. Half of the property falls off into Sonoma and the other half falls off ontoNapa. If you get up there early in the morning you're above the cloud lines and it’s majestic. They have a unique collection of some good fino sherries. I think the atmosphere is a good juxtaposition between real fine dining and something a little bit more relaxed. It’s an authentic kind of New York, a gourmand experience, and an Epicurean treat for lunch or brunch. 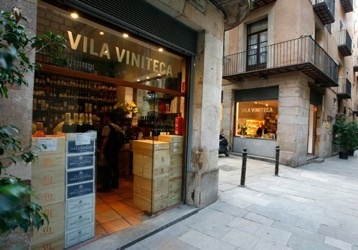 It’s a wine shop and there is a food store portion with the most gorgeous selection of Iberico hams. You can just hang out there and have them slice and taste. The cheese is the same and the wine shop is filled with wines that the greatest enthusiasts in the world would drool over. So that’s just a fun experience. They start bringing out food. You don’t even order. I had a gorgeous, little three-month lamb shoulder. It was just to perfection. A cat couldn't have scraped any more off than I did. It’s just all great. It’s the type of experience that can re-energize, can inspire, can keep us in love with what can be a brutal industry. Everything from A to Z, from the way they extend hospitality, from the touring of the kitchen, the cellar, the owners, to what I love on the plate. The squab course with a game bird reduction that was so thick, it was like chocolate and I never would have thought that it would be balanced and appropriate, but they just took it to a totally different place. 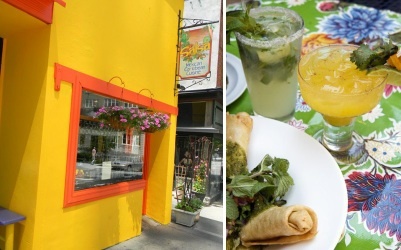 Details of Sam Beall’s recommendations for where to eat, drink and shop in Tennessee, North Carolina, New York and Spain.